Matthew McConaughey: "Dallas Buyers Club" praise "feels good"
Matthew McConaughey is earning some of the best praise of his career for his turn as a real-life AIDS patient who takes matters into his own hands in "Dallas Buyers Club." The 44-year-old actor, who also starred this year in "The Wolf of Wall Street" and "Mud," portrays Ron Woodard, a homophobic intravenous drug-user who was diagnosed with HIV in 1985 and given just a month to live. Woodard defied the odds by using experimental treatments and eventually began selling non-FDA approved medicine to patients with the deadly disease. McConaughey has been racking up the accolades for the role, which required him to lose almost 50 pounds. He's already won the Golden Globe and SAG Award for best actor, and now he's up for a coveted Oscar at this year's Academy Awards, airing March 2. 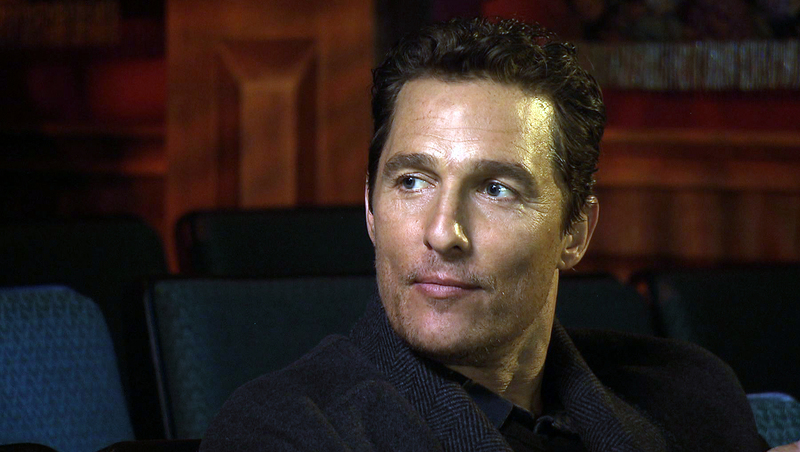 "It feels good," McConaughey said in a recent interview with CBS News' Lee Cowan for "Sunday Morning." The actor, currently starring on HBO's "True Detective," also told Cowan that he feels like he's been playing a character while attending all the awards ceremonies for the film. "I'm playing 'Matthew McConaughey' out there supporting 'Dallas Buyers Club.' That's going to places and putting on a nice suit, nice things said about you, seeing other peers," he said. Watch video at the top of this story to hear McConaughey explain why winning the SAG Award was particularly rewarding for him. Also starring Jared Leto, "Dallas Buyers Club" is now available for purchase on home video.